Stampin' Up! announced several items from the Occasions mini catalog that will be added to the new catalog that starts in June. 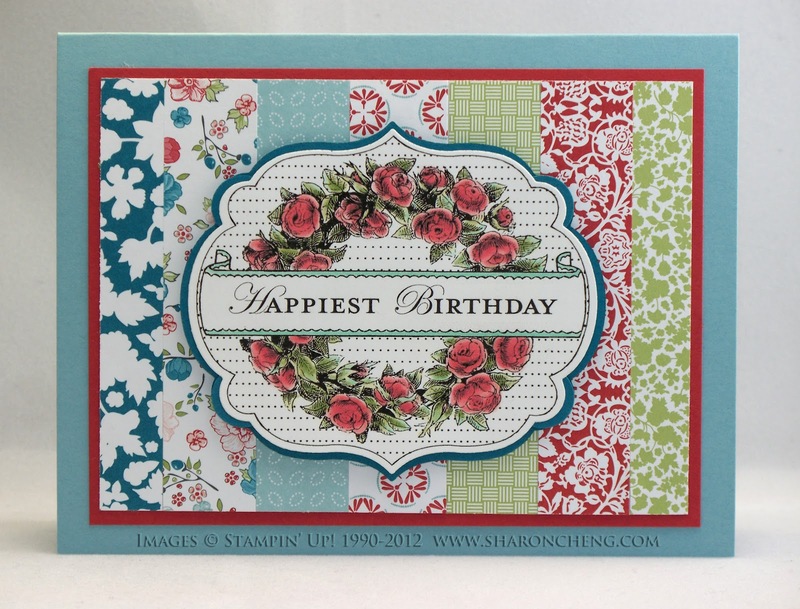 You can make this card with three of the carry-over items from the Occasions mini catalog. The card that is shown is actually a hybrid card. I used the My Digital Studio version of Apothecary Art (125616 $3.95). The advantage of the digital download is that you can re-size the image. This particular image uses the die that is one size smaller than the one you would use for the same stamped image. While I like the Labels Collection wafer-thin dies and the coordinating stamp set, I really wanted to be able to add a thinner mat than what is available through the current collection. The techniques posted online required that you cut up two of the labels to make one mat. I was not able to line up the bumps in the 4 corners. So I came up with this version that worked for me. 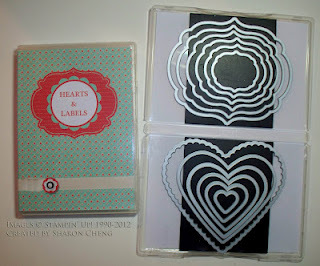 You cut one label the same size as your stamped version and cut it into four pieces as shown. Then punch out 4 circles. 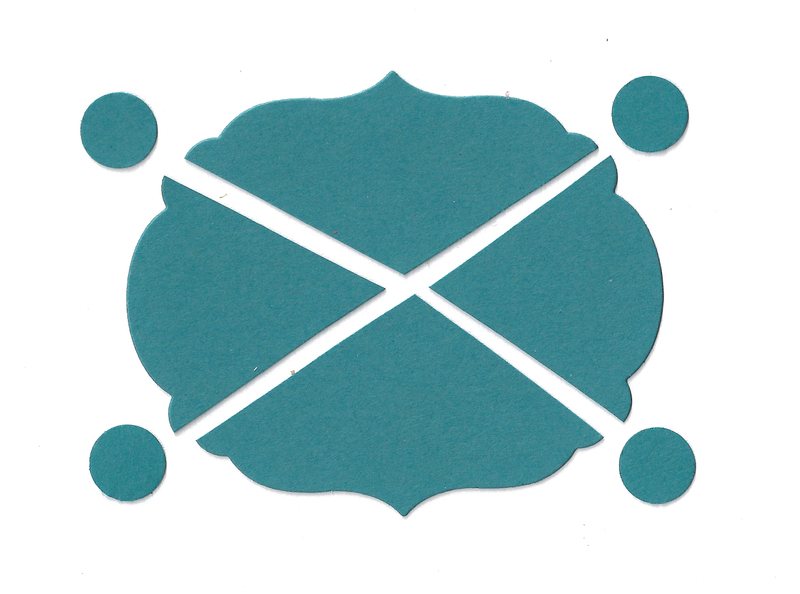 For this card, I used the 1/2 inch circle punch. I added the circles to the back of the Happiest Birthday piece right behind the bumps and then added the other four pieces. This version takes less paper and you don't have to match up the bumps in the four corners! If you would like to see how I store my Framelits, check out this post. When you buy the Labels Collection or Hearts Collection Framelits from me, I'll e-mail you the jpg of the insert for the stamp case. Apothecary Art was one of my favorite stamp sets in the Occasions mini catalog, so I'm glad it's going to be around for awhile. I can't wait to play with the Framelit shapes coming in the new catalog. 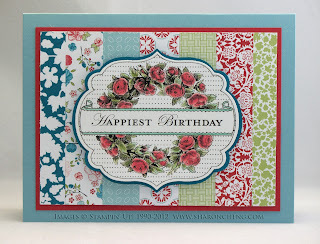 Very pretty card.I was looking for a card to give me an idea to use up my scrap paper, and I'm glad I found it! Thank you! !